Synopsis: Imprisoned by an adult world that now fears everyone under 18, a group of teens form a resistance group to fight back and reclaim control of their future in The Darkest Minds. Ever since the triumphant conclusion of the Hunger Games series and the whimpering ending of the Divergent franchise, there has been a hole in the Young Adult Dystopian Movie Market. The Darkest Minds is here to try and fill that gap. The Darkest Minds takes place in a world where 98% of the children have been killed off by a mysterious illness. The surviving kids find themselves with special powers, abilities like telekinesis, electrokinesis, or hyper-intelligence, and are rounded up into internment camps. One of these kids, a girl named Ruby (Amandla Stenberg, who was Rue in The Hunger Games), is considered one of the most dangerous, and is scheduled to be executed. 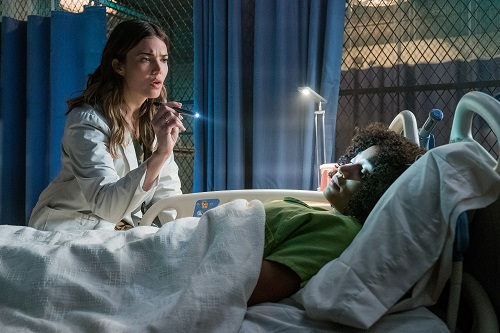 With the help of a kind doctor named Cate (47 Meters Down‘s Mandy Moore), Ruby escapes the camp, but she also escapes from Cate when she teams up with three other misfit kids named Liam (Harris Dickinson from Beach Rats), Zu (Miya Cech from “American Horror Story”), and Chubs (Southpaw‘s Skylan Brooks). The ragtag group avoids government soldiers and bounty hunters as they search for a rumored site where kids like them have gathered and are mobilizing for a revolution. 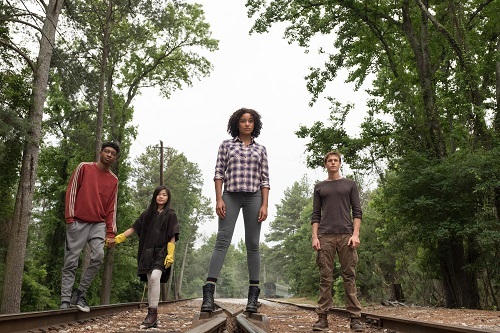 Based on the Young Adult novel of the same name by Alexandra Bracken, The Darkest Minds was written by Chad Hodge (“Wayward Pines”) and directed by Jennifer Yuh Nelson (the < href=”http://www.filmfracture.com/films/kung_fu_panda_2″>Kung Fu Panda series). It’s a timely story with a lot to say, particularly within the current American political climate, but the movie is very obvious and heavy handed about its approach, so it winds up being more of a wasted opportunity than anything else. 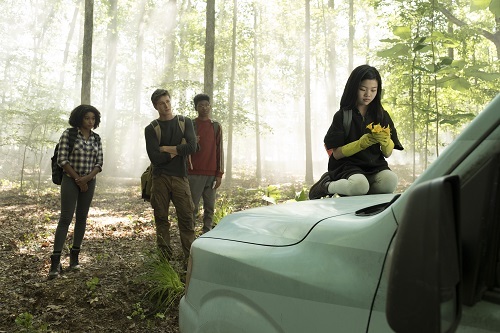 Everything about The Darkest Minds is spelled out for and spoon fed to the viewer, to the point where it’s almost insulting. It feels as if the movie doesn’t think its audience is going to catch on to the concepts and ideas, so it verbalizes them with a nod and a wink to make sure that everyone’s following along. There are plenty of important themes and analogies in the film, but they’d be more effective if the movie gave its audience a little credit and let them figure stuff out for themselves. 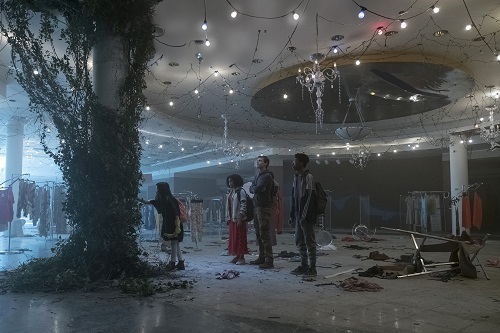 To be fair, there are some interesting action sequences in The Darkest Minds, and even a few heartfelt moments, but these scenes are few and far between, and when they do pop up, they’re undercooked and end way too soon. 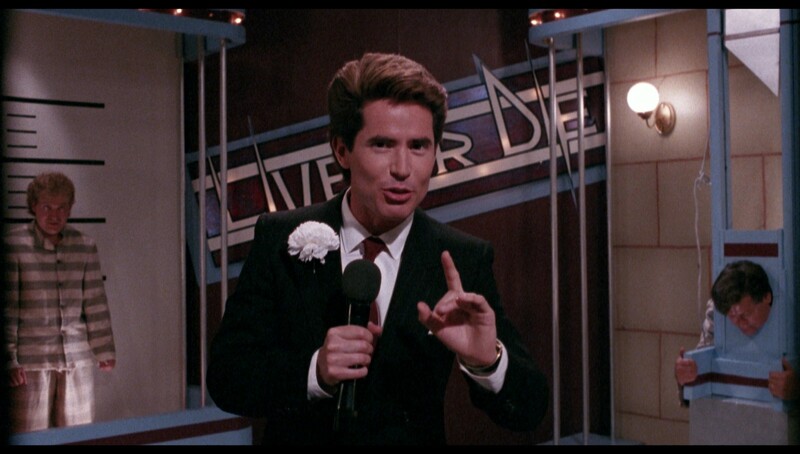 Most of the movie feels like Jennifer Yuh Nelson is just making it up as she goes along. And that may work for the movie’s young adult target audience. Their parents will hate it, though. And the parents may be in for a long ride, because there are five more books in the series. Hopefully, if and when the time comes, those other books will get better movies. Like any self-respecting Young Adult movie, the soundtrack to The Darkest Minds is packed with ethereal alternative pop music. The songs are stuffed into the usual places, mostly occupying the sonic space during montages and transition scenes, so they do take center stage when they are played. Unfortunately, there’s nothing special about them. They sound like the songs from every other YA movie. They’re decent tunes, but they’re very forgettable. There are no hit singles, just some well written filler songs. 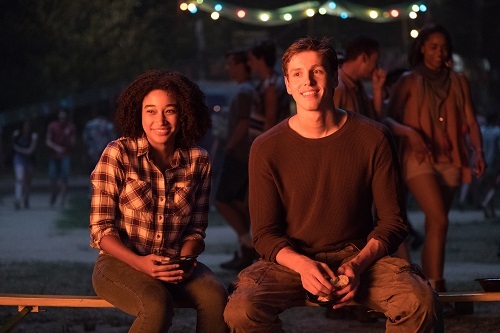 The interactions between characters in The Darkest Minds are painfully uncomfortable to watch. There is absolutely no chemistry with this cast. It doesn’t help that the story forces an awkward romantic angle between Liam and Ruby that seemingly neither character actually wants to consummate, but even the conversations between other characters, like Ruby and Cate or Chubs and Liam, are fumbling and twitchy. While the actors aren’t done any favors by the cringe-worthy dialogue, they still should be able to salvage a little bit of comfort and camaraderie with their performances. In The Darkest Minds, there is none. It’s like the actors are less into making the movie than the audience is into watching it.